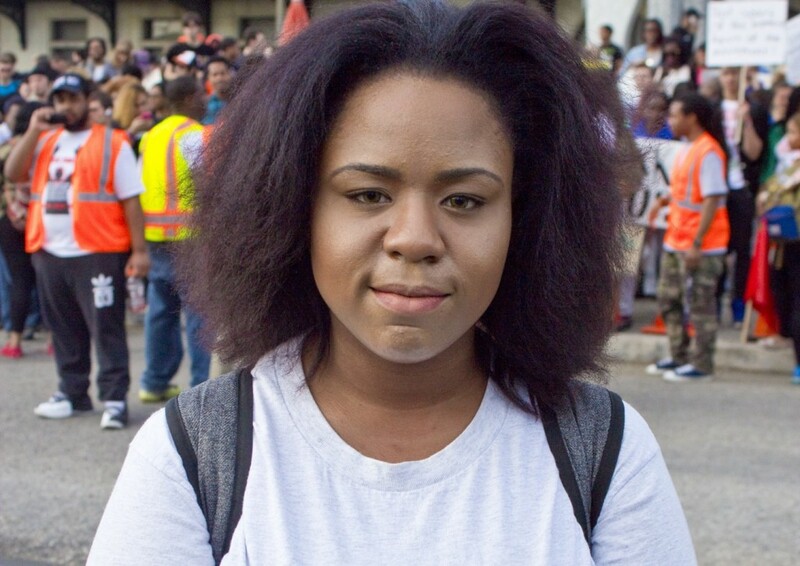 Is Baltimore tipping off this generation’s Civil Rights Movement? Each account of an unarmed man dying by the hands of police fuels anger and frustration, and in Baltimore, young people took to the streets to protest. Figures from Black history are awakened as resistance rises up against civil rights violations. Changing law enforcement’s treatment of people of color seems to be the target of this generation’s civil rights movement, but what is the strategy? “It gets to that point, and that’s where the violence ended up kicking in. It’s like, ‘If you guys don’t hear us after so many times, when we’re repeating ourselves, we’re going to do more things for you to acknowledge us. '” Soraya Shockley reports on demonstrations in Baltimore and talks to youth who were involved, and recorded the voice of Derick Ebert, the Youth Poet Laureate of Baltimore, all in an extended series for Youth Radio. This entry was posted on May 18, 2015 by Editor in Radio, Youth Radio and tagged #BlackLivesMatter, civil rights, Freddie Gray, Justice, Law enforcement.